Some people – far less perceptive and intelligent people than you, the good and wise viewers of Retro Gamer – always say the same thing whenever anyone makes a videogame about pinball. “But what’s the point of making a pinball videogame?”, they moan. “Pinball’s all about the physical sensations, and shoving the machine around in the pub and stuff.” These people are cretins, of course. One of the most interesting aspects of the early videogames was the attempt by publishers to translate the core aspects of their gameplay to other media. In a previous issue of RG, for example, we looked at the early-80s board-game versions of some classics, of which there are far more than most people know (at least 20, going by the contents of my basement), and the same is true about pinball. A whole clutch of the iconic videogames from the Golden Era of the arcades also appeared in pinball form, with varying degrees of success and faithfulness to their source material. Tragically, nobody knows anything about them. Bummer. In 1980, videogames were still seen by some in the arcade business as a flash-in-the-pan phenomenon which hadn’t yet proved itself to be the long-term successor of pinball. 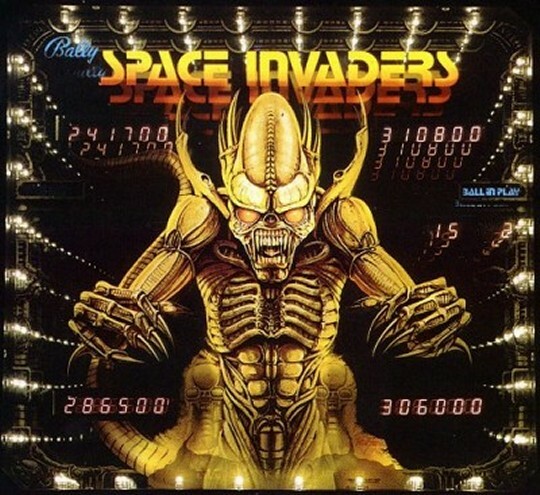 So when Taito’s seminal Space Invaders took the West by storm as it had done in Japan, US licensors Bally Midway decided to spin it off into their more traditional field of expertise, which was pinball. 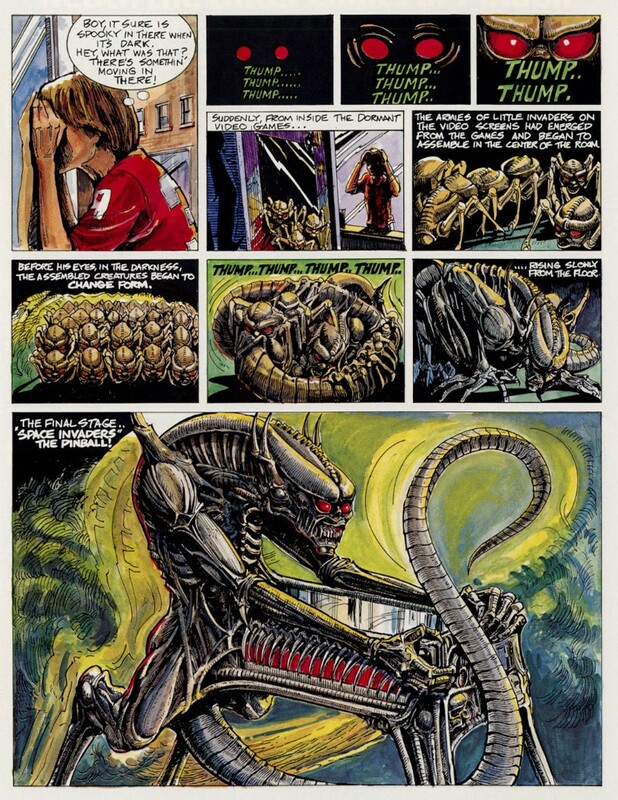 They even went to the trouble of concocting a story explaining the Invaders’ journey from screen to table, depicted in a four-page comic-book section of the lavish flyer. 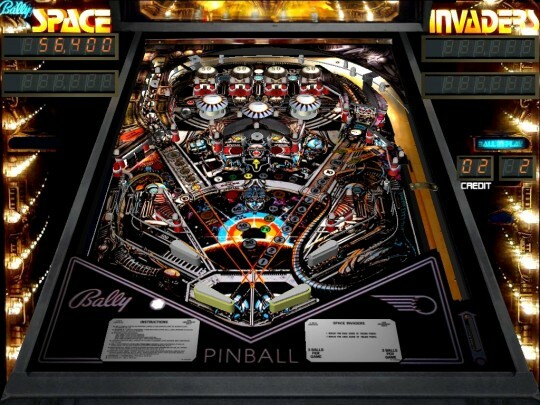 Nothing else from the videogame made it to the pinball either – no gameplay elements, and an attempt at the trademark heartbeat sound which would have any doctor rushing the patient to intensive care with sirens blaring - and generally this looks for all the world like an Alien pinball that got hastily rebadged when someone lost the movie licence. Pinball was still mechanically quite primitive at the time, lacking even such basic features as ramps (flippers didn’t have the power to get the ball up them), and all Space Invaders had to work with was a pretty dull collection of bumpers and targets to light up, with a central horseshoe loop the closest thing to heady thrills on offer. It wasn’t an auspicious start for the crossover, but things would improve pretty soon. pinball machines were manufactured, a dizzyingly high number in the world of pinball.